Lakhani is a famous and renowned fashion brand of Pakistan that is making its consumers satisfied and contented from many years. 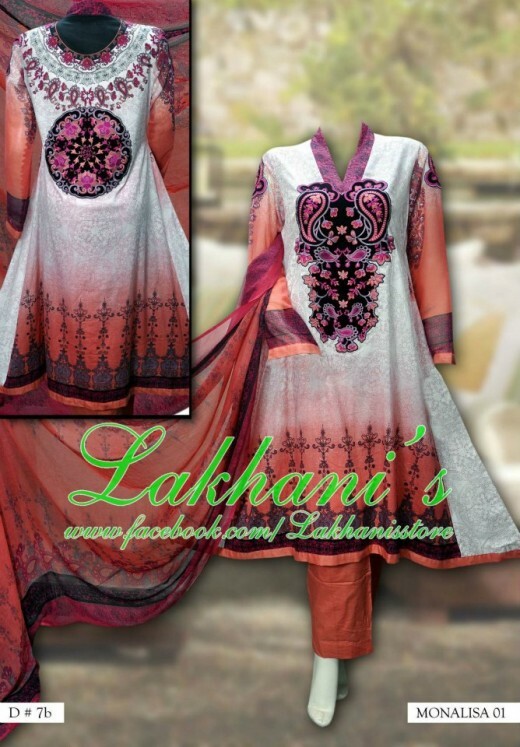 Lakhani works on several brands that include casual wear, semi formal and formal wear for women. Women really trust this brand, as it caters the needs of modern and stylish women to its fullest and best. Recently, Lakhani has launched latest and exclusive Monalisa embroidery collection 2012. This embroidery collection is very stylish and trendy. 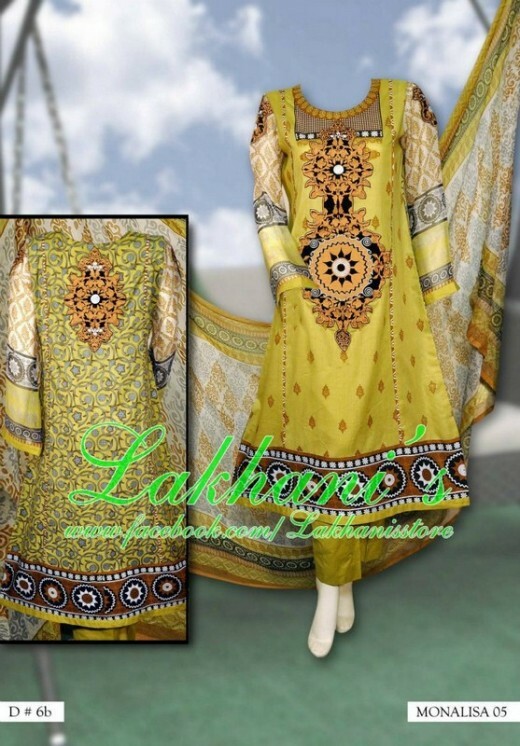 In this embroidery collection 2012, Lakhani used high quality stuff. 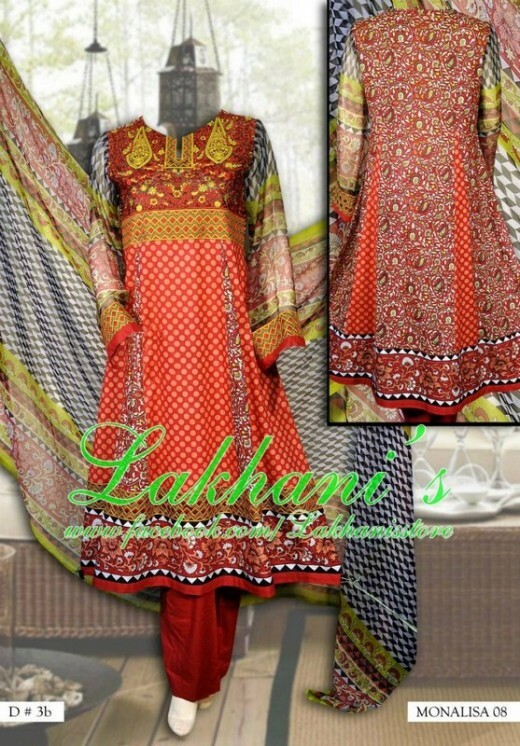 We are completely sure that women will definitely love these dresses by Lakhani. Just stay a bit here and check out the few pictures which are given below and you will definitely say wao….